In 2018 I wrote a little bit here about my word of the year and did a few updates. My word for 2018 was balance, and while I do feel like I achieved much more balance than in previous years, I was nowhere near what I ultimately would want for myself balance-wise. For this year I wanted a word that I really felt spoke to me in different facets of my life. 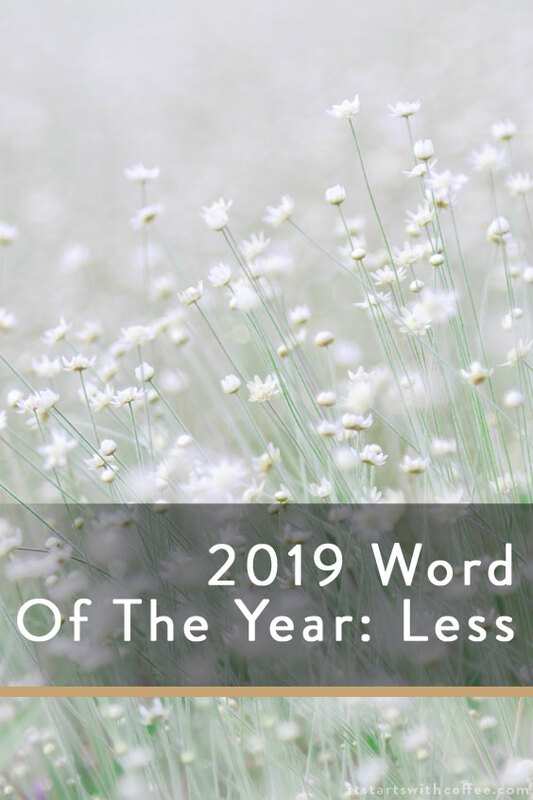 My 2019 word of the year is less. Why less? Less of so many things. Less plans, less stress, less STUFF, less clutter, caring less about what others think, less people pleasing, less time with people and on things that DO NOT matter. I felt really burnt out at the end of 2018. Not on one thing specifically but just on everything. I felt exhausted. I spent so much of the year saying YES to everything. While I believe sometimes that it is good to do something, it is done because you either have FOMO (it’s real) or because you want to help people or just can’t bring yourself to say no. I don’t need to go to everything, I don’t need to take the lead on everything. We want to grow our family if we are so lucky and I need to have my family be my focus. So I can’t say yes to everything. Sometimes it’s OK to say no. It’s ok to not go to the event, or party, or help someone move, or whatever it is. It’s OK to skip the brunch, or just bring a store-bought side dish because you don’t have time to cook. I also want to focus on less STUFF! The last few weeks of 2018 I did a LOT of purging. Clothes, toys, and just crap. We organized big spaces in our house and got rid of SO MUCH CRAP! It was wonderful. So this year instead of getting new crap I would like to focus on less crap. Liam’s birthday is only 7 weeks after Christmas, so this year for his birthday we asked people to either donate to a charity we support in his name or the gift of an experience. A zoo or museum membership, tickets to go do something fun, etc. He is SET on toys. Me? I am good on leggings, handbags, shoes etc. We don’t need more stuff! Less stress. Well if you know how to achieve this one please let me know! But I honestly think saying no more and doing LESS of the things that don’t make me happy will help me achieve this. A long time ago at a blog conference my friend, Danielle Smith said “if it isn’t a hell yeah it’s a no.” That is my motto for this year. We’ve also begun the purging process. It can be hard but fortunately we want to regain the room the stuff is taking up. It’s a solid goal to meet! Love this motto and yes experiences are so good for gifts! My husband and I did a lot of experience gifts for our boys for Christmas this year. We are going to take them to the Space Center, the Museum, the Zoo, all the downtown Houston sights, and we have a huge trip to Florida planned during which we will spend a couple of days at Disney. It was so nice to not bring more crap into the house! I love that quote. It’s so true and I have been working on that mentality for a while! Great word choice for 2019. What a great word for this year. I think my word would be flexible. I want to become physically more flexible (doing yoga daily) and be more flexible with my family and personal life. I’m still trying to decide on my word for 2019. I’m stuck between Create, stretch, and appreciate. I like your word, but it’s not the right one for me. I keep a list and look at it every day or two and cross words off that don’t resonate. So I’m waiting for one of those three to jump off the page at me. I love your word choice for 2019. This is really a well thought out word, based on reading this. I love that you shared your word of the year and what it means to you. I am doing a purge this weekend! My mom is taking the little one and I am just throwing away everything that doesn’t have an important purpose. I am not really sure what my word is yet, but I have a lot I hope to accomplish this year! Less is freedom! That’s how I felt when I simplified my home and life. I found time for writing finally because I had less stuff that I had to do! Less is a great word and wonderful goal in life. Looking ahead, I’m afraid my word will end up being more with the track I’m on, but less is always my goal. Oh my gosh Neely this is such a great word! Mine is TODAY and I plan on focusing on each day as it comes. I hear you loud and clear and have been feeling some of the same promptings in my heart. We are all so bombarded with stuff that it has almost become toxic to me. As for reducing stress, I would recommend trying yoga and meditation. I’ve been a practioner for over 20 years and it’s a gift I always give myself. Keep it Simple is one of my mottos for the year. I love your word! I am a former clutter bug with a fascination for minimalism. However, my phrase for this year is ‘joyfully obedient’. I have not seen anyone else choose this word yet but I LOVE it! It applies to so many different areas of life, both personal and business. What a great choice, I think it will be quite powerful for you. I like this word you chose. That could change so many things in our lives.I have not thought of one yet. Honestly, I think having a word for the year would be better than making resolutions. My word will be explore. Exploring new opportunities and just learning and growing each day. Love your word! I love your word! I don’t do a yearly word, though I sometimes have words of the day or week. And purge/declutter have already each made an appearance on the daily list in 2019! This is genius and so much better than resolutions because it’s not just one thing. I could definitely use LESS in my life. Such an inspiring post! Less is such a great word. 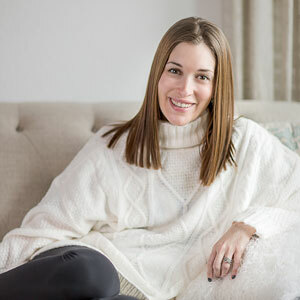 I’ve been thinking about how much stuff is around (thanks, Marie Kondo), and I think embracing the idea of less is lovely. This is such a great word for the year. I can definitely agree that I want less stuff and less worry this year. We’ve also been purging a lot of stuff. It’s nice to get rid of stuff we no longer need! Peace. And I think less of a lot of things goes into making my year and life more peaceful, so I’m on board with you!